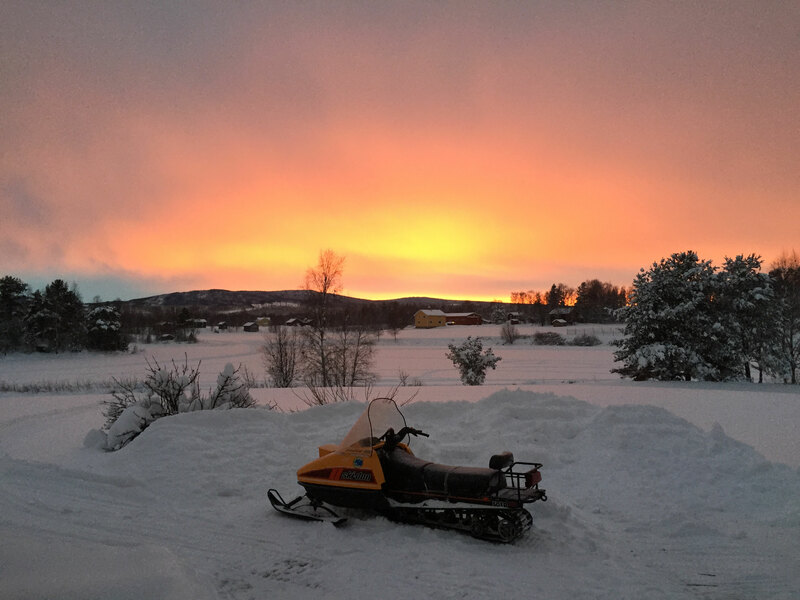 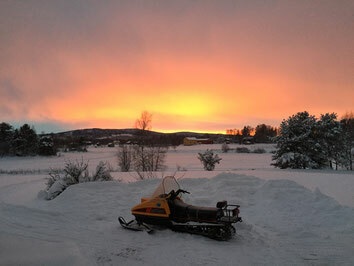 Drive snowmobil in front of the house. Go shopping with or go for a trip in the forrest. 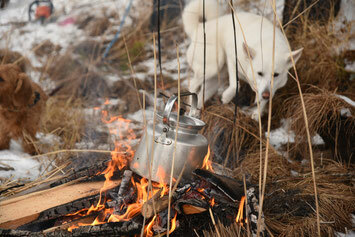 We can also arrage an several hours trip with open fire and have a barbecue outside! Put on your skis and start from home! There is a cross-sountry ski trail directly in front of the house and when the lake is frozen, zou cam enjoy the 3.5 km round on the lake. 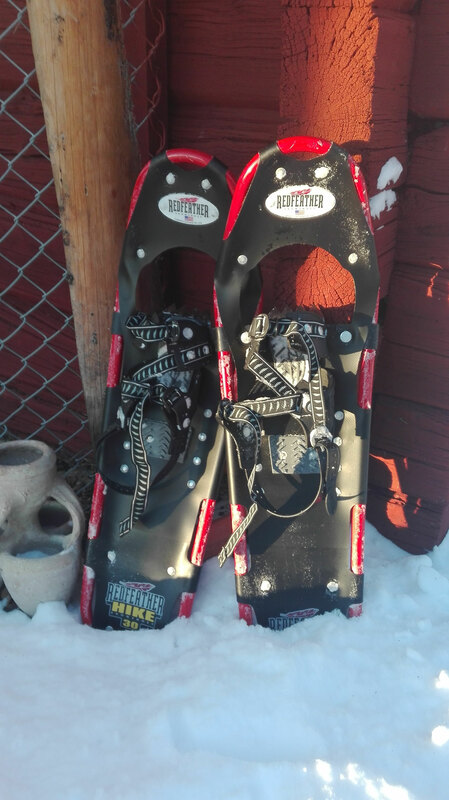 Are you ready for snowshoe hicking in/out from house? 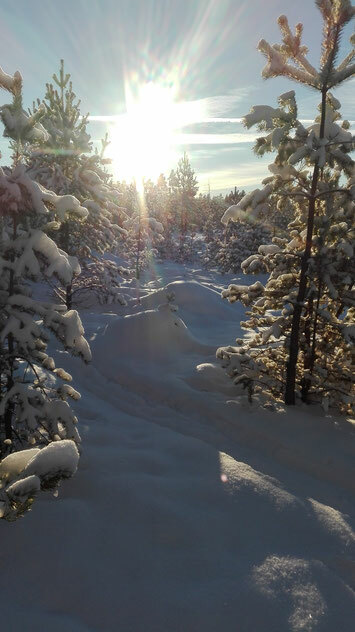 We can hike through different landscapes and/or into the forrest. 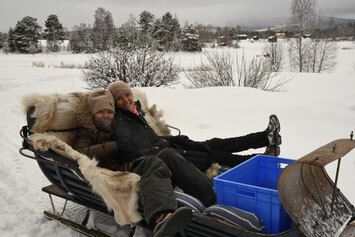 This is one of the best inventions here in Sweden! It is the best possibility to go on ice or on frosen lakes! 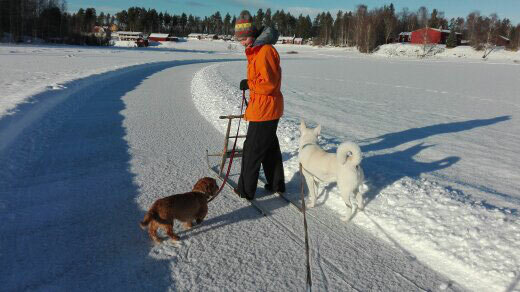 You have not only a walkinghelp - no, it is also perfect when you want to sit down and have a rest in the sun or when you are icefishing. Time to have a break! 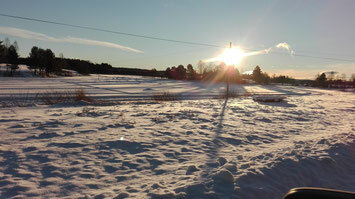 Here in Härjedalen you can also find a lot of possibilities to go downhill skiing. 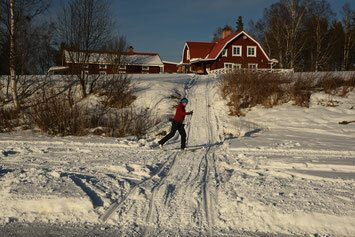 Sweds are very child-friendly and you will find here the best prepared slops. 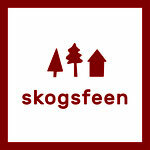 Vemdalen: Klövsjö/Storhogna, Vemdalsskalet and Björnrike have a total of 35 lifts und 58 slopes (distance about 60 km). 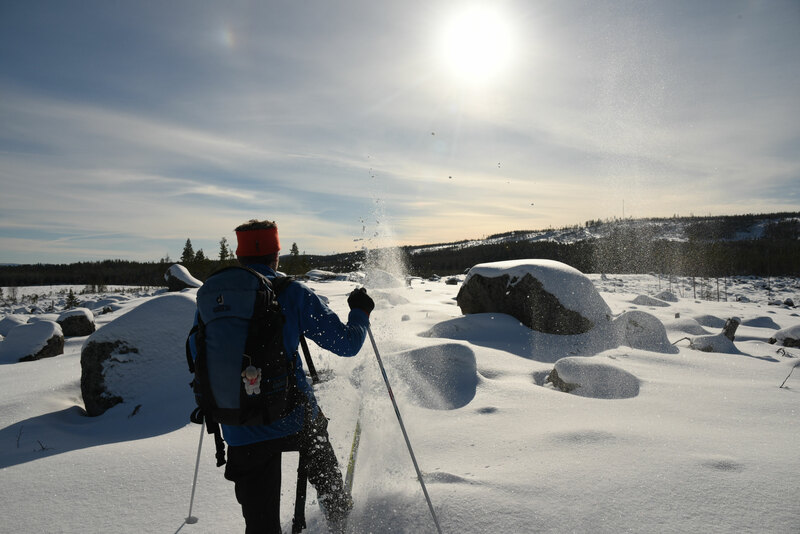 Åre is Northern Europe's largest winter sports resort with 42 lifts and 108 slopes. The longest descent is 6.5 km long (distance about 200 km). 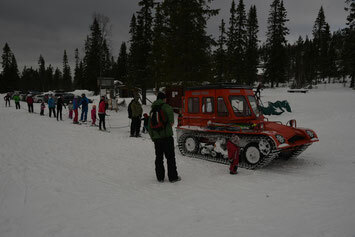 Funäsfjällen have 5 skiresorts with total 38 lifts and 135 sloopes with one ski pass (distance about 170 km). 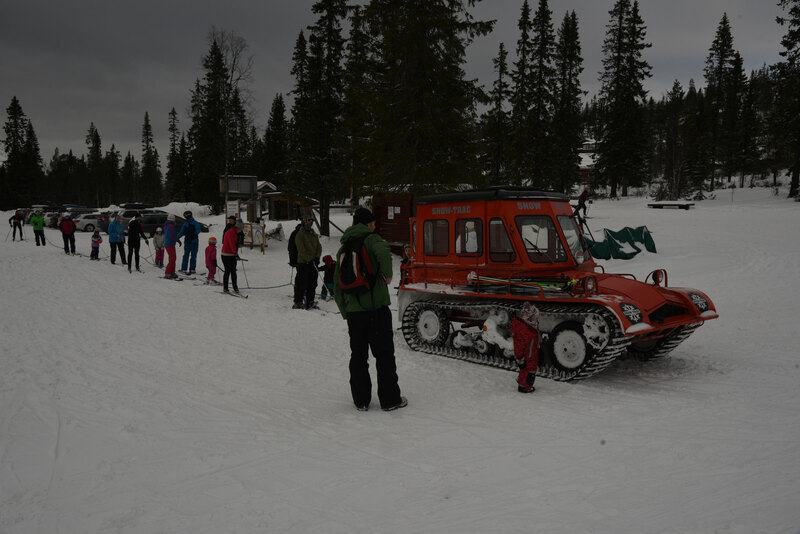 Bydalsfjällen is very family friendly and have 50 slopes with 17 lifts in differnet terrain (distance about 140 km). 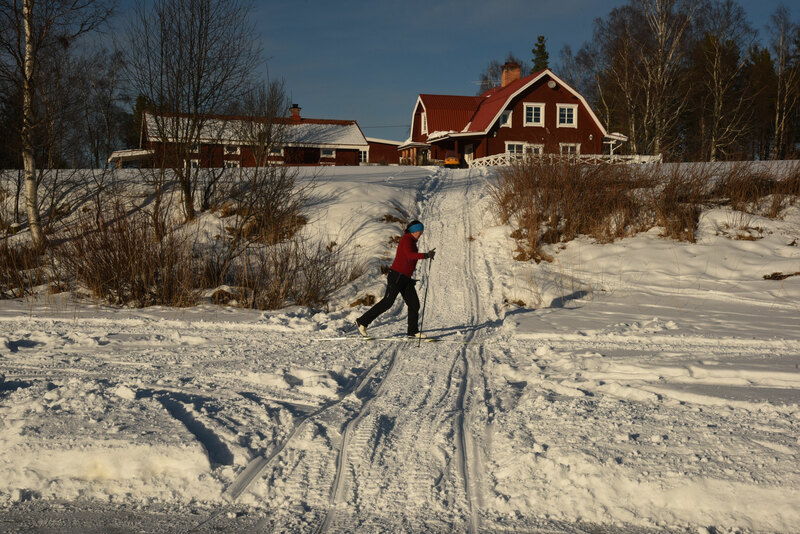 Lofsdalen have more than 25 slopes from beginner's right to brutally steep"! 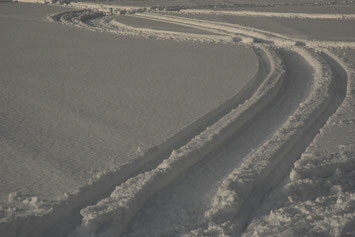 and 9 lifts (distance about 100 km).